Policies & Credit Card Pymts. Teddy’s Touch is a Philanthropic non-profit 501(c)3 fund established (2005) to offer assistance to the Community through several means including the Teddy's Touch: Breathe. In the past, funds were donated to Roswell Cancer Center for various projects including a bronze statute to honor their first therapy dog, Monty. 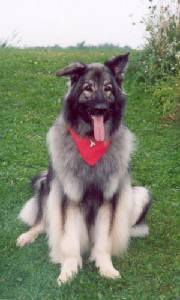 Teddy was a Shiloh Shepherd who lost his struggle with bone cancer at age 6. In that time, he touched hundreds of lives as a therapy dog, agility dog, companion animal, behavior modification training assistant, and more. Start-up funds were donated in memory and honor of Susan Leitzan, DVM., whose profound influence, contributions and guidance helped give us the strength, courage, and direction needed to fight and stand tall for what we personally and professionally believe and, to take full responsibility when we fail. Her principles and standards will continue to light our way. 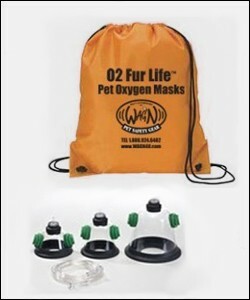 The Breathe project has raised enough funds to date, to purchase 27 sets of pet oxygen kits. We will continue to raise funds to purchase pet emergency oxygen masks until there is one in all Erie County fire departments. A Pawsitive Experience will match every dollar donated. Teddy's Touch, with the help of clients, friends and peers, will have purchased and distributed oxygen kits to the following Town fire departments: E. Aurora, Boston, Evans, Angola, Derby, Hamburg, Blasdell and Orchard Park by the end of March 2012. Special thanks to the Community Foundation for Greater Buffalo, for supporting and enabling the realization of this non-profit and gift to the Community – one that will keep on giving. Thank you for managing Teddy's Touch 501(c)3. http://www.cfgb.org/ . Thank you to HEART for acting as the go-between to accept the funds from Teddy's Touch to purchase the 02 masks in support of our community pets. HEART (Hamburg Eden Animal Rescue Team) selflessly agreed to serve as receiver of funds from CFGB on behalf of Teddy's Touch under 501(c)3 regulations, and as a 501(c), to enable purchase by Teddy's Touch Breathe of the pet 02 masks under federal guidelines and restrictions. ULTIMATE GOAL - get a Pet 02 set-up in every fire station in Erie and then Niagara County fire-houses. There are more than 80 in Erie County alone. Research is currently being undertaken to open a bank account strictlyfor donation collection. New rules require minimum donations to the CFGB be at least $1000. To keep the Breathe project moving forward, any funds collected will be deposited in the interim account before donating the minimum $1000 to the CFBG towards 02 kits or other projects. To contribute to the fund, please send a check made payable to Community Foundation of Greater Buffalo, noting "Teddy's Touch" in the memo, addressed to A Pawsitive Experience at 6440 Schultz Road, Lake View, NY 14085. You may also purchase kits directly from www.wagn4u.com . Fire stations seeking pet 02 kits may put in requests to wagn4u or contact Susan Ferry, owner @ A Pawsitive Experience, 627.9234. THANK YOU TO ALL FIRE STATION PERSONNEL FOR ALL YOU DO TO KEEP OUR COMMUNITY AND PETS SAFE! All material and reference to any and all of this web site whether in part or entirety, including the name or any part thereof of A Pawsitive Experience (TM), is the property of owner herein and cannot be used in part or whole without express written consent. A Pawsitive Experience (TM) is the original dog daycare by this name. 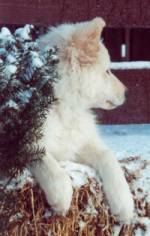 Our goal is to create "A Pawsitive Experience" and provide support for all services offered.